With the Guardian Council set to announce the final list of Iranian presidential candidates on Tuesday, after vetting a staggering amount of hopefuls (686 to be exact), a few contenders have been making some prominent headway. Prior to the registration deadline it seemed as if many Iranian voters were going to sit out these elections due to a lack of reformist candidates. Yet in the final minutes of the deadline, former president, and supposed reformist candidate Ali Akbar Hashemi Rafsanjani–referred to by some as “the Shark”–entered the fray. To add to the strange mix of events, President Ahmadinejad accompanied his right hand man, Esfandiar Rahim Mashaei at the last minute as well. In the conservative camp, the so called 2+1 coalition made up of International Affairs advisor to the Supreme Leader, Ali Akbar Velayeti, Tehran mayor Mohammad-Bagher Ghalibaf, and former parliament Speaker Gholam-Ali Haddad Adel have all thrown their weight in the mix. Second, this election cycle is shaping up to be as contentious as ever, which is not what the Iranian leadership would have hoped for this time around. Principlists have been highly critical of Mashaei for his “deviant” view of Islam, and quick to discredit Rafsanjani for his support of the 2009 Green Movement. Some have even made claims that the 78-year-old Rafsanjani should be barred from the presidency on the count that he is too old to lead the country. Yet even if Rafsanjani clears the vetting process, any president’s policies is going to be constrained by the Supreme leader’s ultimate approval, as well as an economic system in pieces from sanctions and government mismanagement. 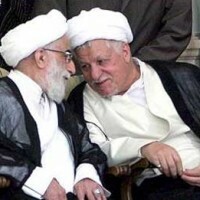 As the conservatives attempt to unify their candidates to one representative, it will be interesting to see if the Guardian Council approves of Rafsanjani’s bid, and if they do, will reformists rally around Rafsanjani or another candidate entirely. Yousef Nadarkhani, the Iranian Christian pastor who was sentenced to death after being found guilty of apostasy, has been released from prison after tireless work by his lawyers and an international outcry regarding his situation. Early in his life, Nadarkhani abandoned his Islamic faith and by age 19 officially converted to Christianity and shortly thereafter began his work as a pastor. In 2006, Nadarkhani began to protest the mandatory enrollment of his children in Quran classes at school. He was immediately imprisoned on charges of protesting. A few months into his sentence, his charge was changed to apostasy, the abandonment of one’s religion. Nadarkhani was brought before a court in 2010 and given the death penalty. He was to be executed by hanging. His lawyers appealed the verdict, but a court in the city of Qom upheld the original sentence. But September 8, 2012, the apostasy charge was downgraded to evangelizing Muslims, the penalty for which was three years. Given that Nadarkhani had already served about six years in prison, he was released from a facility in Lakan, Iran. Reaction from the international community regarding Nadarkhani’s plight had been strong, outspoken and unrelenting. Iran’s constitution allows for the free practice of one’s own religion, and yet the courts were still permitted to convict Nadarkhani of apostasy. Such a clear violation of basic human rights garnered reaction from many groups, including NIAC.